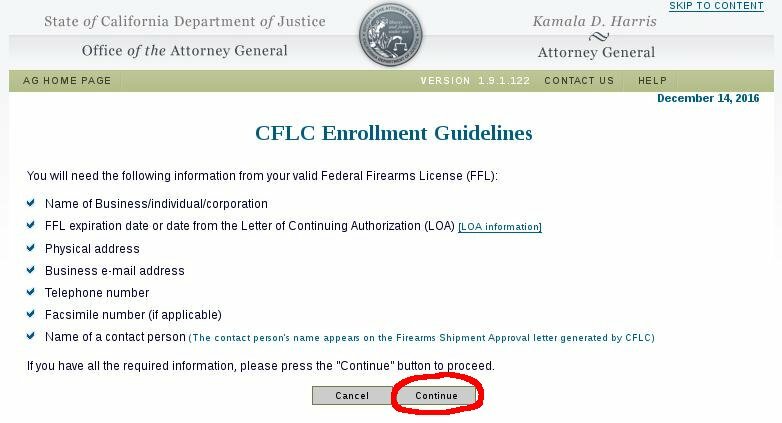 While it is a bit annoying to have to get a CFLC letter in order for a FFL to ship a firearm to a CA dealer, it is free and fairly quick to get setup and generate the letter. 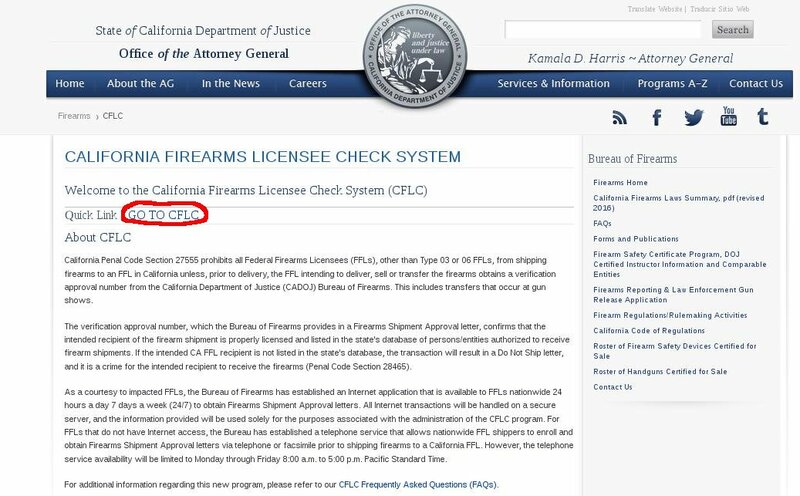 It should take you no more than 5 minutes and then you can start annoying the anti-gun people in CA by shipping firearms to CA Dealers. 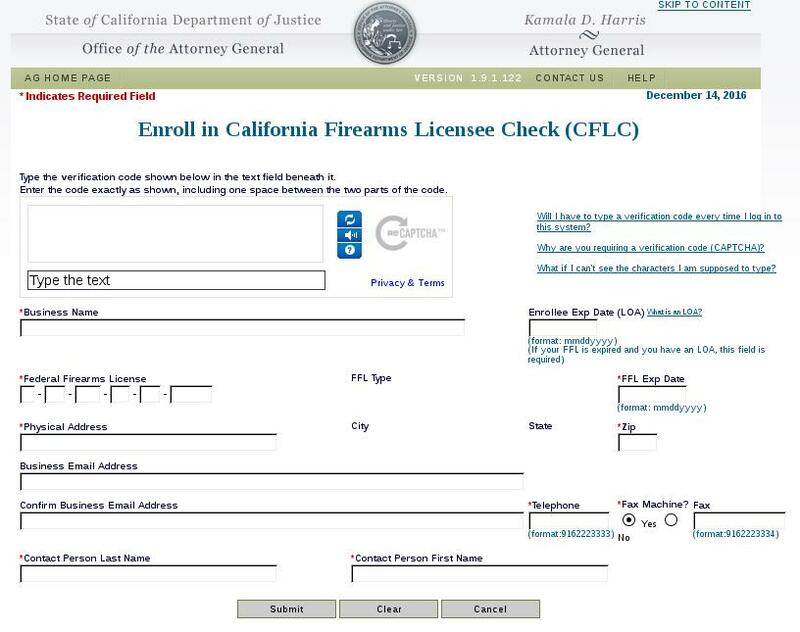 As well, you know that the CA dealer has all the required permits and licenses. If you dont want to click on any links on this web page, you can do the following steps. Then click on the "Continue" button. Enter your information, as well as the Captcha information, and press the "Submit" button. 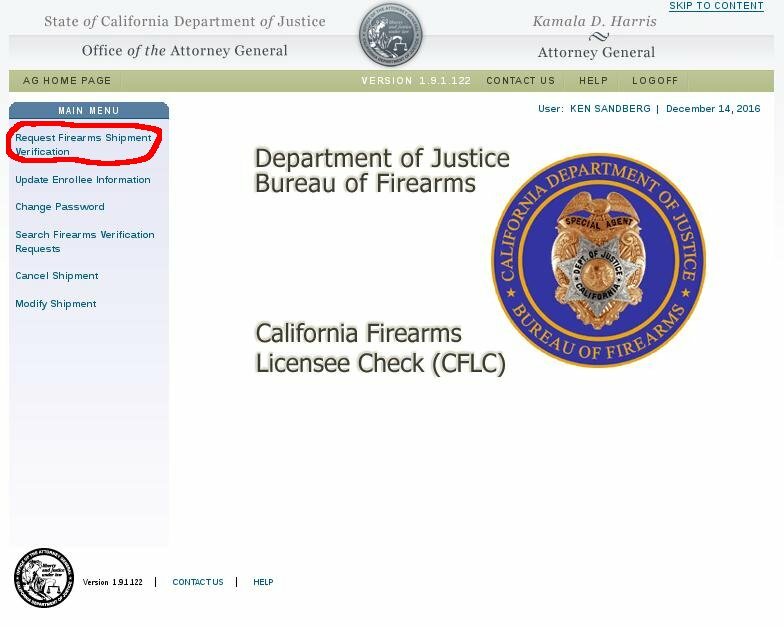 Then to generate a letter click on the "Request Firearms Shipment Verification" link. 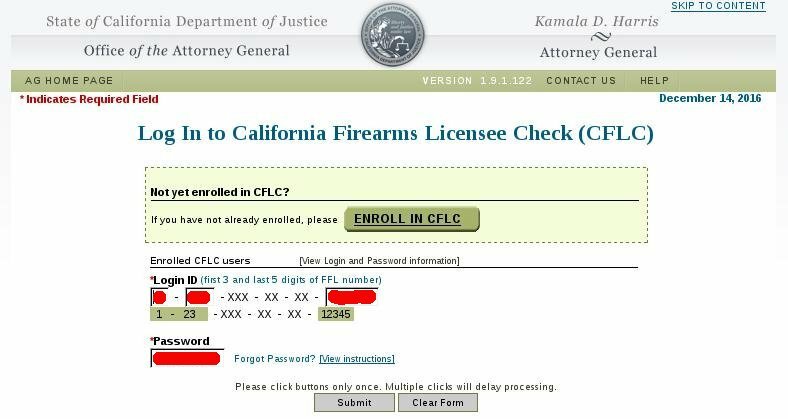 Enter the receipent's CFD number and the number of firearms to be shipped. The Shipment invoice number can be anything that you want to reference the order, such as an invoice number, customer name, etc. Then click on the "Submit" button, which will then bring up a verification page. Verify that the Business name and address match what you think it should be. If it is correct, click on the selection that the information is correct and then press the "Submit" button. You can them print or save the CFLC letter. 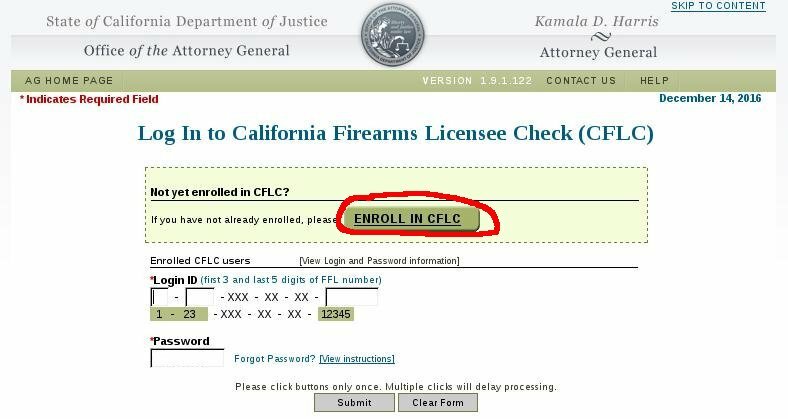 The CA FFL needs only the number on the letter, but it is helpful to provide a complete copy of the letter so that they can verify that the number and type of firearms are correct. If it is not correct, click on the not correct selection and press submit, which then will take you back to the previous page to enter the information.